The Bedford was a good night out pre-refurb. Functional rather than pretty — sticky-floored, with food that was averageish but okay enough to let you keep drinking; nothing special to look at, but rendered great with its live programming, in a big event space attached to the back. Music, regular comedy nights, cabaret and dance lessons all featured. 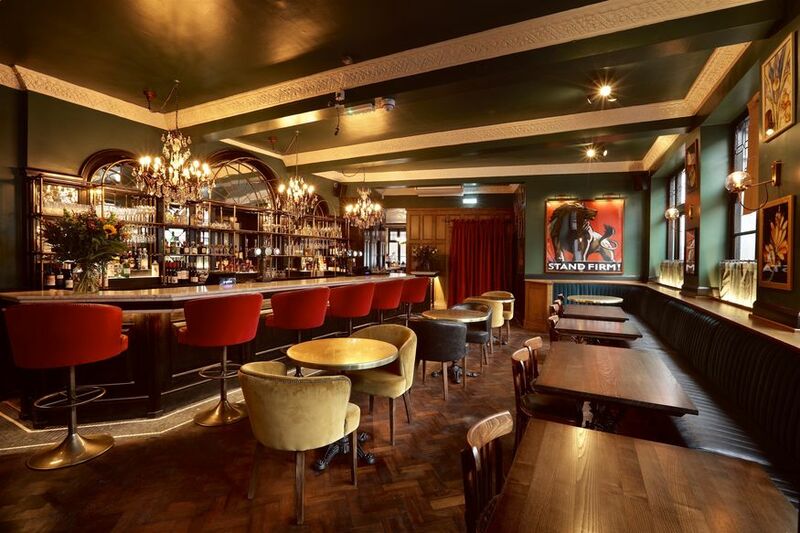 The refurb, which saw it close for half of 2018, has turned it from a solidly good night into a many-splendoured thing. 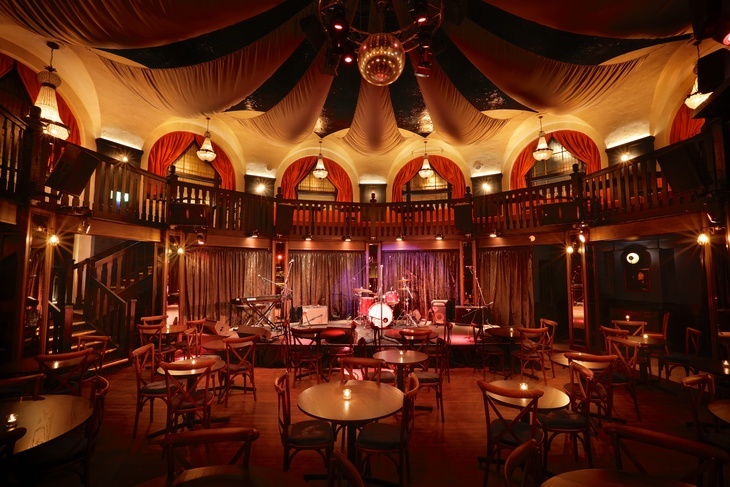 The Bedford's expansive embrace includes — but isn't limited to — a large pub, serving pizza, flatbreads and sharing boards; the Saloon Bar, an art deco-esque restaurant, behind velvet curtains off the main bar; the Club Room, a two-level event space in the round, hosting regular comedy nights; hotel rooms and a scattering of other private hire spaces. It hosts speed dating nights and weddings, along with being a pretty solid date night for all points in between, so you could, if you wanted, conduct your entire love life from within The Bedford's walls. A new menu's been ushered in with the refurb. It looks ambitiously long — standard gastropub fare, but with such a range crammed in, it's hard to imagine them being that good at much of it. Pizzas, flatbreads, sharing boards, burgers, small plates, elaborate-sounding seafood mains, fried chicken. Classic cocktails and Bedford inventions. But against the odds everything we hit on gets it right — some of it staggeringly good, like the roasted cauliflower, charred beans and romesco sauce small plate, a small portion of smoky stew that's way more than the sum of its parts. Pork tonnato, with its pork-tuna-caper-mayo twist on surf and turf, is always a toss-up between weird and good or weird and vile — The Bedford's lands nicely on the side of edibly weird. The Moving Mountain vegan burger is on-point, though it needs the extra cheese, relishes and other toppings on offer to take the edge of dryness off the patty. The chips are great chips. And the margaritas are excellent, strong and moreish, so maybe order double of those chips by way of prep. The Club Room: home of Banana Cabaret's comedy nights. Photo by Johnny Stephens Photography. Overall, it's not that the food's surprisingly dazzling — it's good, sometimes great, but it's the package deal we're really smitten with. A pub where you can drink elegant aperitivi at a bar dripping with chandeliers and 1940s train station vibes, move on to a prolonged three-course dinner or a high-speed flatbread, hit a four-set comedy night, and then booze till 2am in the rowdy main bar? The Bedford's trying to be all things to all people, and it's really working. The Bedford, 77 Bedford Hill, SW12 9HD. Banana Cabaret comedy nights run every Friday and Saturday in the Club Room, and tickets are £15.